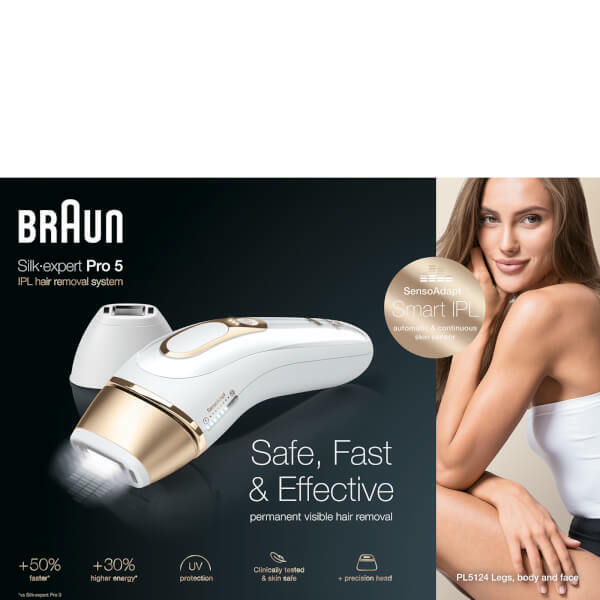 Braun presents the latest generation of home hair removal with the Silk-expert Pro 5 PL5124 IPL. 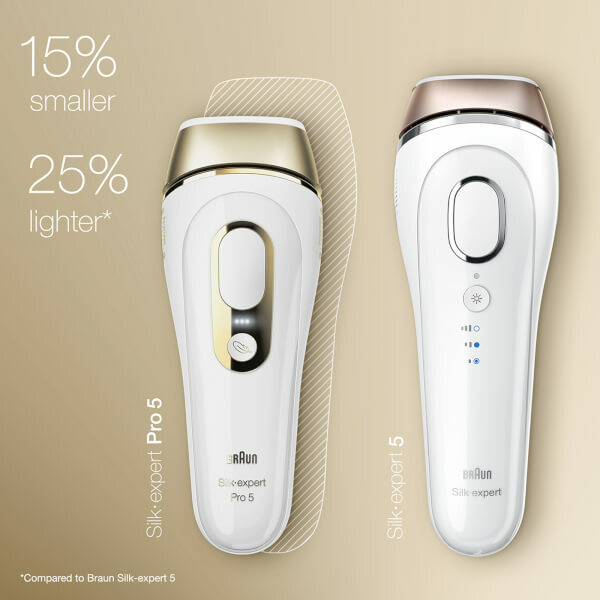 The Silk-expert Pro 5 is Braun’s safest, fastest and most efficient IPL, helping to permanently reduce hair on the face, body and legs in up to four weeks*. The hair reduction system has been clinically tested and dermatologically accredited by the Skin Health Alliance. The IPL automatically adjusts to your skin tone to provide a safer and more efficient hair removal experience. Twice as fast as the previous model, the Silk-expert Pro is able to treat both lower legs in less than five minutes. The compact design is smaller and lighter for easy handling. 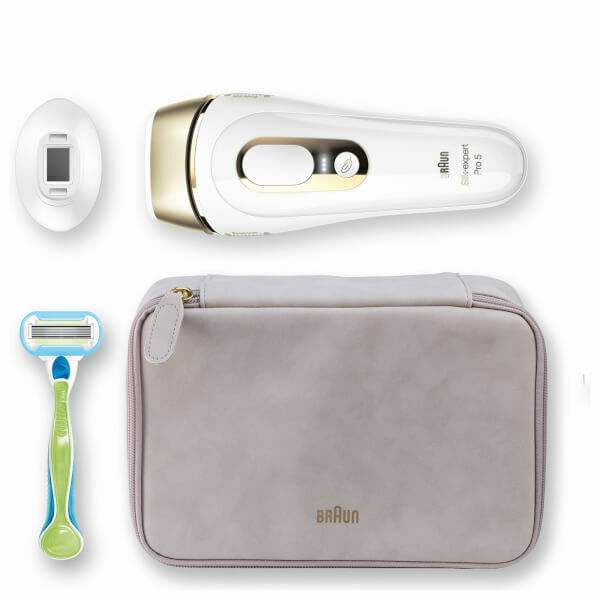 Complete with precision head for targeting smaller areas such as the face, underarms and bikini line. *Not suitable for use on red, very blonde, grey or white hair. Patch Test: Before beginning treatment on a new area, carry out a patch test on an area approximately 3cm x 2cm. Wait 24 hours to ensure that the skin is suitable for treatment and there is no adverse reaction. Step 1: Shave the treatment area to remove all visible hair before use. Step 2: Plug in the device. The LED power bars will appear and the fan will start in ready mode. Press the treatment window firmly against the area, ensuring both skin tone sensors are in contact with the skin. This will pre-set the most suitable power output. Step 3: Repeat the treatment across the whole area. Step 4: Repeat once a week for the first 4-12 weeks until desired result is achieved then repeat as needed every 1-2 months for maintenance.